Months ago a lot of pictures of this rare Kia Optima started popping up on the internet and everyone was surprise because of the different design of the Optima. We contacted with race driver Emelie Liljeström to know more about her and also a close experience to the Scandinavian Touring Car Championship. Tell us your name, age and where you from? My name is Emelie Liljeström, I’m 19 years old ond grew up in Västerås, Sweden. 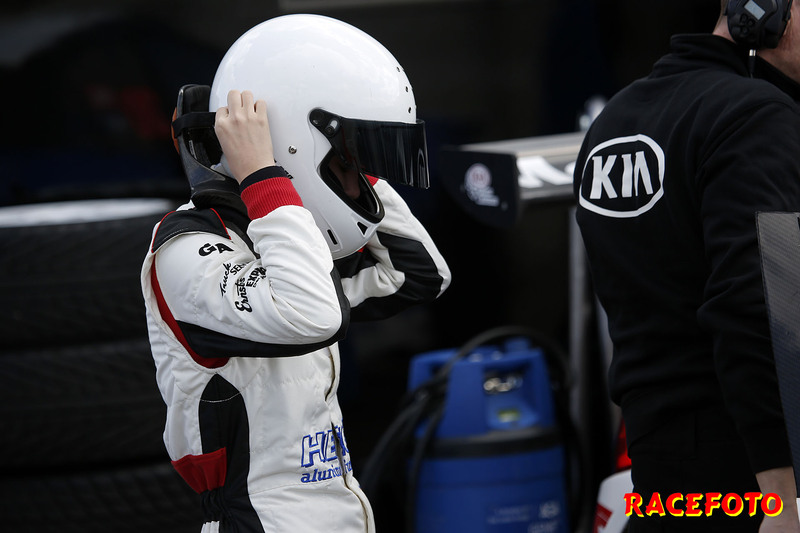 How did you start your racing career? It’s quite the funny story, when i was 10 years old, i was a stubborn little girl, and wanted to try out the motocross. Although my father thought it was too dangerous (I already was in sports like horse riding, football and so on..) So he didn’t want anymore sports with a reputation of hurting yourself(kind a like motocross has). So he thought he would convince me to try out go-cart instead. “At least she is on 4 wheels” he used to say about me trying it out. Said and done, we went to the go-cart track here in Västerås, Sweden, and it was the absolute funniest thing I’ve ever tried! So 1 week later, we had bought my first go-cart! I drove go-cars for 4 years, then I cracked one of my ribs and couldn’t drive for a whole season..My father who has lots of empathy for me, had seen how sad I was on the tracks and competitions not driving. 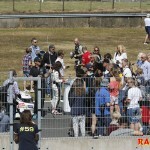 So he arranged for me to try out a Radical (Racing) on a test day in Mantorp, Sweden. At first it was just as a fun thing to do, to cheer me up. 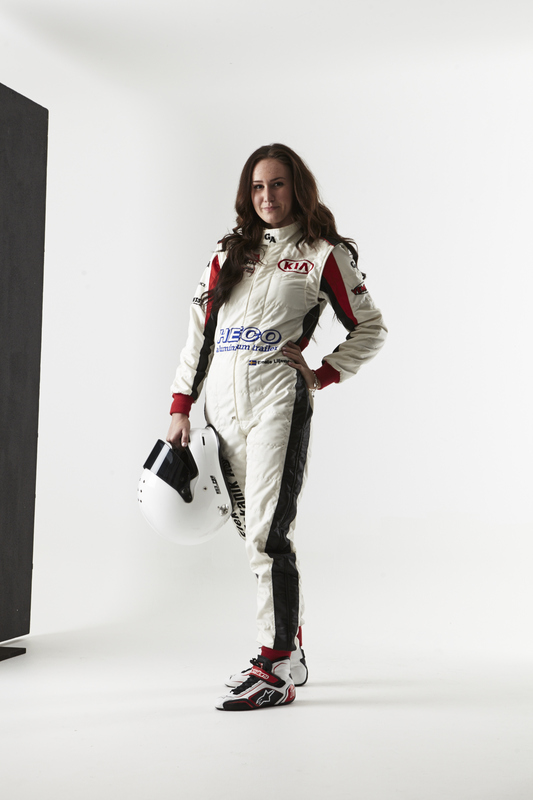 But in my frist laps in the race car (which also were classed as the fastest race car in Sweden) I was fast. The person I borrowed the car from had been an engineer for a long time, and he was surprised and told my father I had potential. 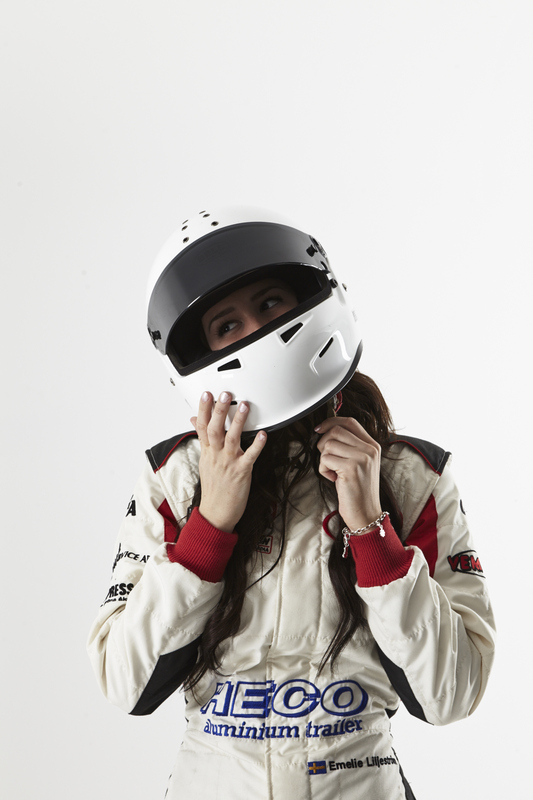 When I got in from my first laps, I couldn’t believe how fun it was! Nobody could make me stop smiling! And that’s how I started with racing! Tell us which which is your favorited and hated track you drove and why? My absolute favorite is Knutstorp, Sweden. It’s really tricky, but when you get the hang of it, it’s really fast and the flow is amazing! The most hated track in my opinion is Karlskoga, Sweden. 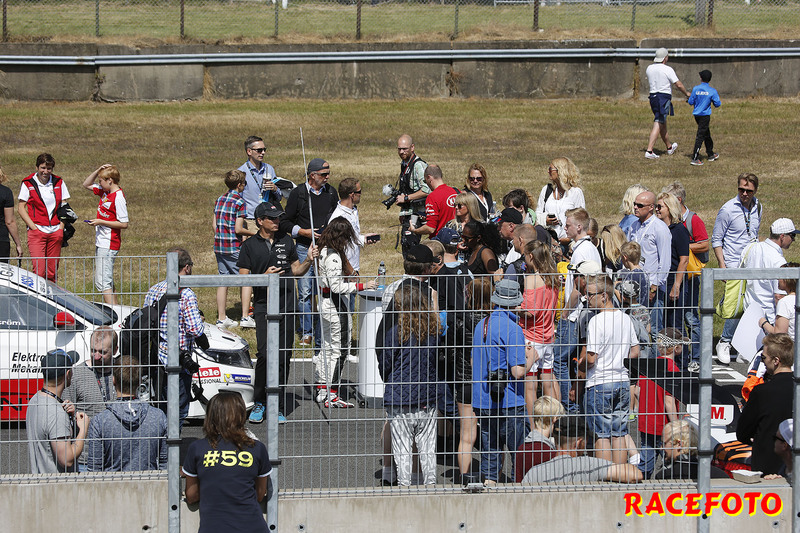 It’s quite funny though several other drivers has it as their favorite, but I think it’s small, with no flow in the driving and the track also have different asphalt, so it can have good grip in the corner and terrible out of it, and the other way around. 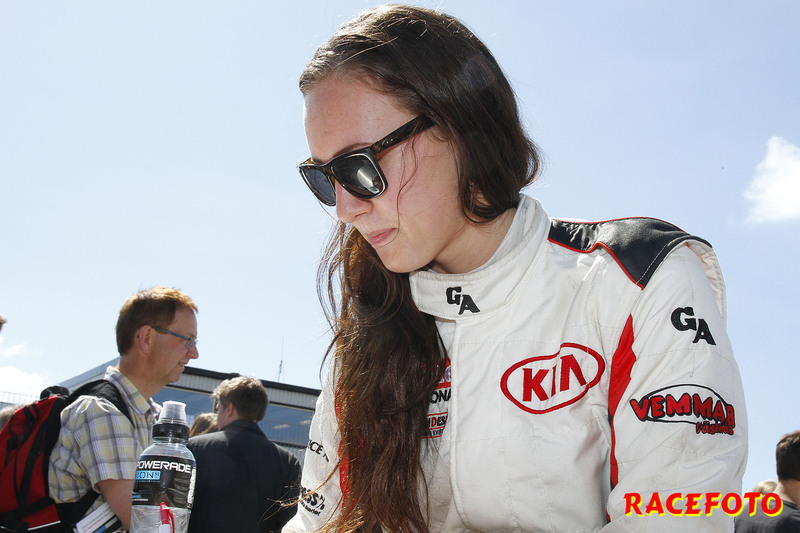 How did you decided to choose a Kia for a race car? I have had a conversation with the team, Brovallen. Since I started competing in racing, but it wasn’t since last year we started talking seriously about me driving for them. 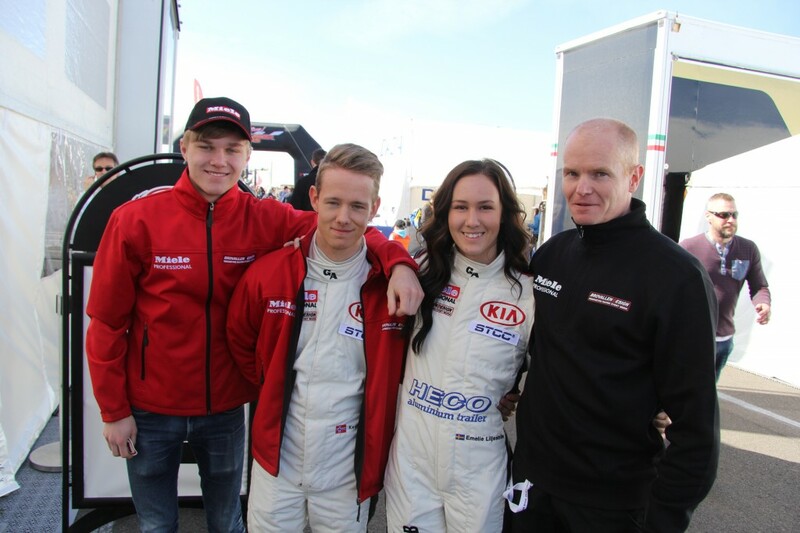 The thing with Brovallen is that last year they signed the contracts with Kia, Sweden and became Team Kia in the Scandinavian Touring Car Championship (STCC), so it’s a pretty newborn team with Kia. Although I’m satisfied with the performance the car has on the track, everyone who believes in old records about Kia is just off limits.. ! 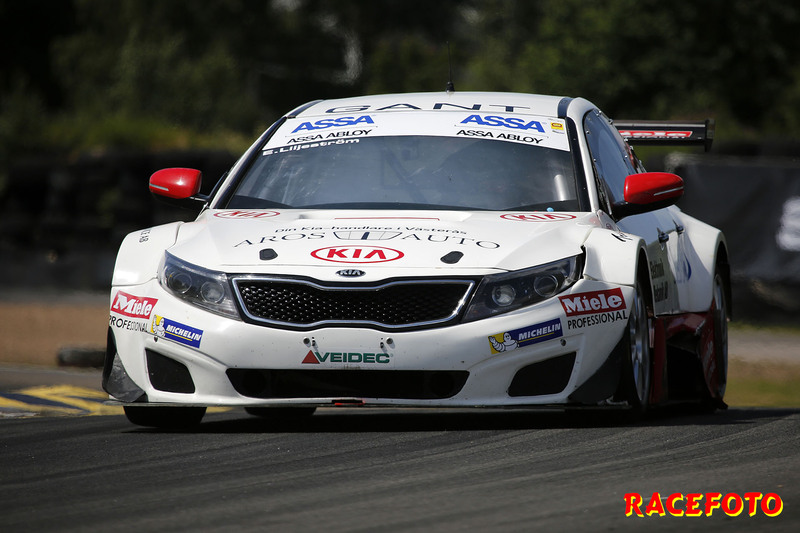 What were your expectations for the Optima and how different is from your race car Optima? I didn’t really have any expectations early on from the standard Optima, I had only had my drivers license for about 6 months when we started discussing driving for Team Kia, so the only car I had driven before that was my fathers, some of my friends and the car they had on the Driving School for my license, haha! Although my thoughts of the standard car that I’ve driven is that it’s comfortable, big, and saloon! I think it’s a bit of a business car, with great performance and comfort. It’s surprising how well it goes on the track for a standard car! 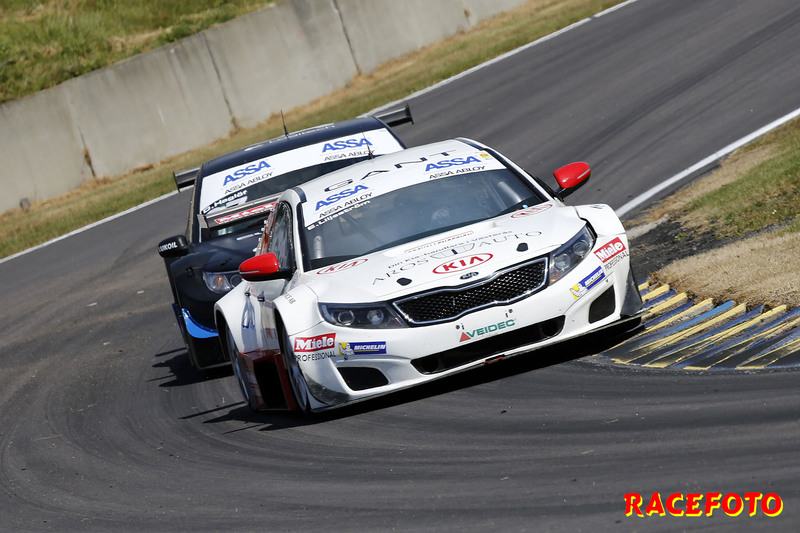 To my race car Optima I had really high expectations, although several drivers warned me about the car being extremely hard driven. It’s a back wheeled car with 420 horsepowers so many have troubles dosing the accelerating. Also the car has a bit of a understeering character, so that makes the car a bit unpredictable. 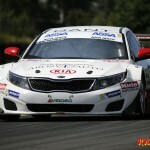 Otherwise I think the race Optima is a wonderful car, and also the Standard version of it. Can you tell us some of the modifications done to your Optima? Because of the fact that we drive silhouette-cars, we all have the same underneath. Same motor, same wheel suspension, same tube construction, same everything. The only thing dividing us from is the fabric of the car. As we have the Kia optima, some of us have the Volvo S60, and some have Dacia and so on.. The body of the race car is hand made of the team, they form it in the workshop by themselves of a sculpture we’ve gotten from Kia, Sweden. What is your favorite Kia’s car and why? I would have to say Kia Cee’d Gt it’s a bit of a smaller car, which i like, and it has a great punch in it, the performance on the car is amazing for a standard car! And the design as well, really there’s nothing to complain on the car! Do you mean in race contexts? In that case, I really believe in karma, if someone is terrible on the track against me, it will punish them soon enough. Also I believe much in the fact that if I don’t pee before a race, it won’t have a happy ending, it doesn’t depend on be being needing to pee or not. It’s just the fact that before a race, I have to do my, as I call it “Nervous pee” to kind of.. Pee out my nervousness, haha! strap into a race car? I actually think I’ve never been afraid in the race car, although I was in a terrible crash last year and had to be supplied to a hospital. I don’t remember anything from the crash because I was knocked unconscious, but I can remember the pain in my body, where I hurt the most during the crash, that’s kind of freaky, but it never made mefeel uncomfortable in the car, or out on the track. The only “fear” I have to manage, is my performance-anxiety.. I will always do my best, and if that doesn’t take me as far as I thought it would, I get really disappointed in myself..
Name one of your favorite race driver of all time and how he/she influenced in your racer career. Lewis Hamilton, he was the youngest driver ever who’ve gotten a contract with a Formula 1 team. He also had 9 podiums after his first 9 competitions in the Formula 1 car, impressive! And in his second season in Formula 1 the took the win! But apart from a serious role model as many have, i also have a friend of mine who has influenced my career, his name is Peter Larsson. 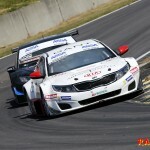 He is handicapped and drive in a supporter class for STCC, he became handicapped after a crash in motocross. Already in the hospital he started to skiss out how he could fix a race car that he could speed and brake with his hands! That is so strong! He can’t walk, but he never, even for a minute, gave up on his dream! Really someone to look up to! 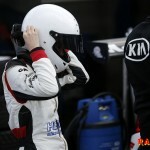 Then of course i have, as many other girls in the racing world, Susie Wolff tough, kind and such a talent! Such a role model for other girls and women! That’s a tricky question! But I’m extremely nervous, like that’s a big problem for me! I remember my first start in STCC this year, and I was so close to puke in my helmet when the third light has been led up, and also my leg was shaking so much I didn’t know if I was going to be able to push as I wanted.. But as soon as the lights has all been led up and gone, so was the nervousness. Västkustloppet i Falkenberg. Härligt sommarväder. What’s the strangest thing, or place etc. That you’ve been asked foran autograph or to autograph? That must be a kid that wanted me to autograph his head, that was kind of weird..But I appreciate everyone who wants autographs of me, it’s all kind of new to me, so I’m just so happy and surprised people even want it from me! Also I’ve been asked for a autograph on my day job, I work in a store and managing clothes, so that was a happy surprise! Thank you for particiating in our interview and i hope you have a great season for the rest of the year. In here you can thank some of your fans or sponsors. for me, I would’ve never gotten this was without their help and support! And many others who have helped me with their support and their belief in me when I needed it the most!